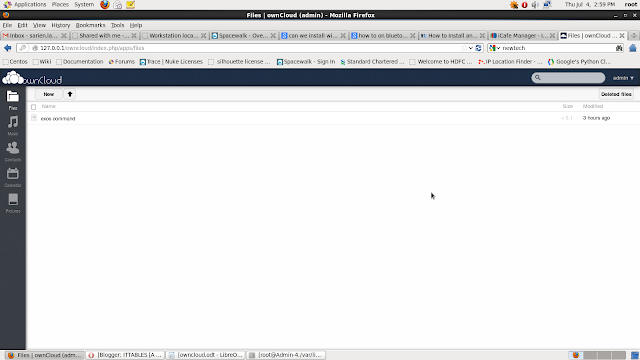 It will automatically install dependencies, such as Apache, PHP, and MySQL. Once the installation is complete, you can point your browser to http://yourdomain/owncloud and start the “First Run Wizard”. 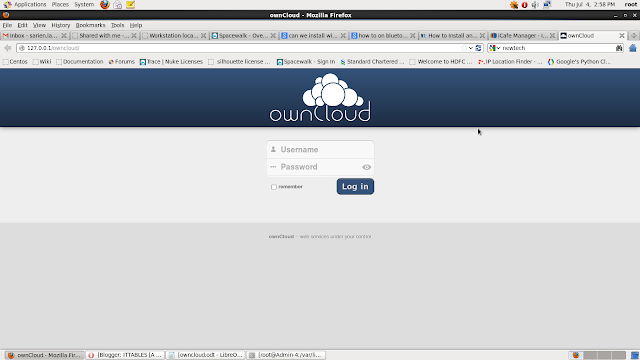 If SQLite is detected, ownCloud will use it by default. Alternatively, you can enter your MySQL database information in the “Advanced” section. enter the username and password of the database in the advance option. 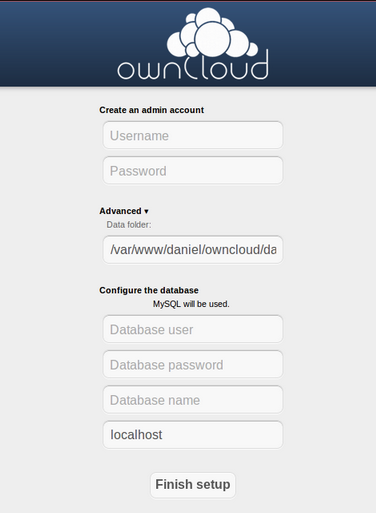 ownCloud gives you the freedom to use the cloud on your terms however you want. You can access your files from anywhere, just as you would with a proprietary cloud service, but the files and software are yours. You will not have to worry about privacy or the safety of your data.